Acrylic Pouring Techniques as all of the art classes I offer, begin with a guided meditation, to better prepare students to create fabulous work . 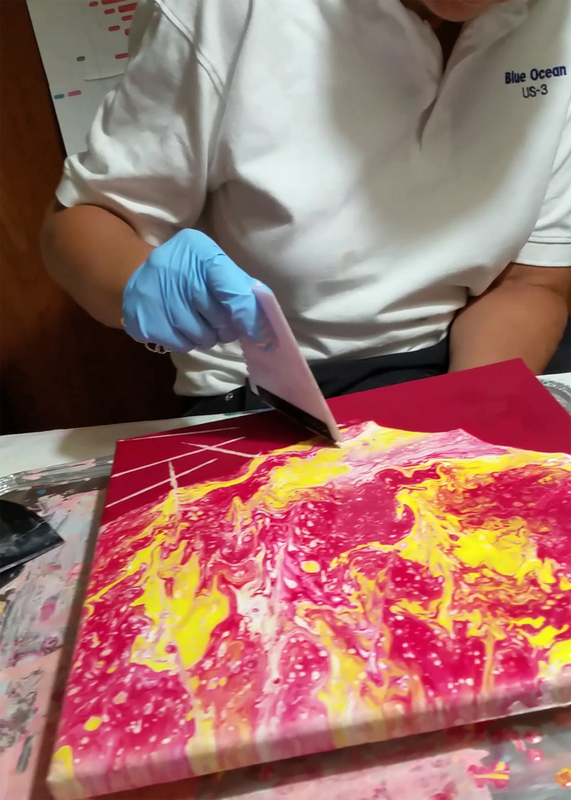 You will be painting from the heart, and Acrylic Pours are a great vehicle to release expectations yet create awesome art. You must take all 3 classes to learn the two main techniques and to allow for drying time, as well as unleash your creative potential. All exercises involve acrylic paints, various mediums and additives and heat and it requires an attitude of openness and the willingness to have fun.